This is the Fantasy Version of Camping. But it’s not quite as simple as just grabbing a sleeping bag, a tent and a can of lighter fluid; you have to remember that YOU’RE OUT IN THE WILD. And Nature has its own rules. Here are 10 essential tips for camping beginners, courtesy of those who’ve been there/done that. The biggest rule for new campers? Never wear new boots. Take some time to break in those cool new kicks before you take to the trail. And while you’re enjoying all that outdoor activity, remember to stay well-hydrated. Dehydration can hit you hard and fast in the wild; so keep slurping that H20. Many sites (especially those within National Parks) require advance booking. Check park websites for the specifics, so you don’t show up with a dumb look on your face and no place to go. Plan your cooking menu before you go. Include snacks. Also, do most of the prep work (like cutting up veggies, marinating meats and keeping them in zip-lock bags) ahead of time. You might even “pre-cook” some stuff and just warm it up over the fire. Another tip is to pack cooking gear in its own plastic bin that you can just pull out of the car. A cozy fire is one of the best parts of the camping experience. However, it’s essential that, before you go, you know how to safely build one (as in, never beneath low-hanging trees or near piles of dry brush). This rule cannot be emphasized enough. 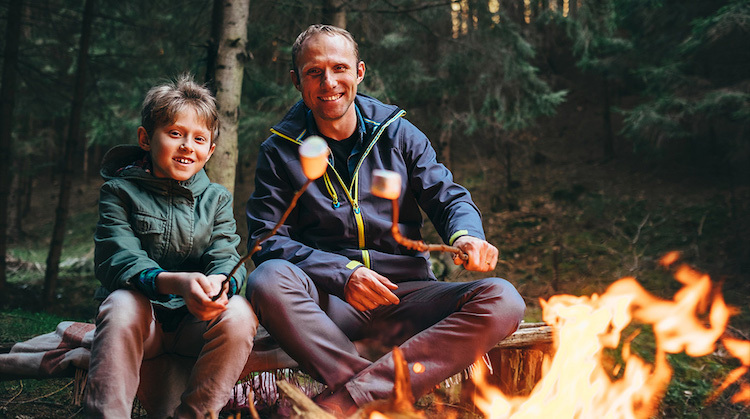 Monitor your campfire throughout your stay and most importantly, know how to thoroughly douse the flames. Many experienced campers use leftover dishwater for that purpose. Also, understand any local rules for firewood; many camping areas have regulations about bringing in outside supplies (due to pests that can be a big problem in local forests); some also ask you not to leave any unburned wood behind (for the same reason). Know before you go. A two-room tent is highly-recommended. You can use one “room” for sleeping, and one for changing out of muddy or dirty clothes and shoes. For your “sleeping” tent, add some foam floor tiles beneath your sleeping bag; it will keep things drier and warmer. And a tarp under your tent is an absolute must. Speaking of tents, always do a “test run” ahead of time. 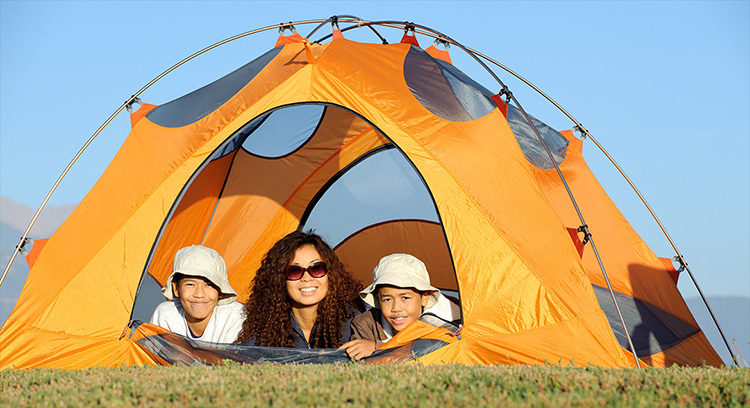 Make sure all the parts are there, that you know how to put the tent together, take it down and handle anything that might make it collapse in the middle of the night due to harsh weather. If the weather turns seriously bad, have a backup plan – like a nearby motel. PS – a bonus “comfort” tip is to keep your toilet paper inside an empty coffee can. Your bum will thank you, especially on a damp day. 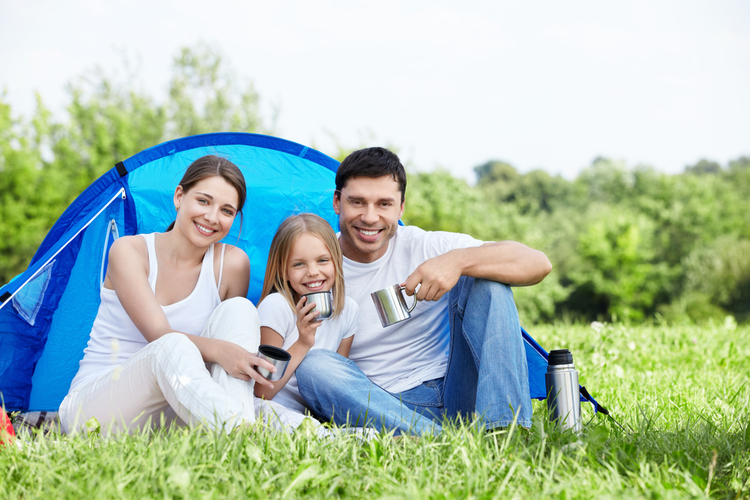 Safety is absolutely critical when you camp. Pack a First-Aid kit that includes tweezers and antibiotics to deal with ticks. Familiarize yourself with the poisonous plants and what they look like. 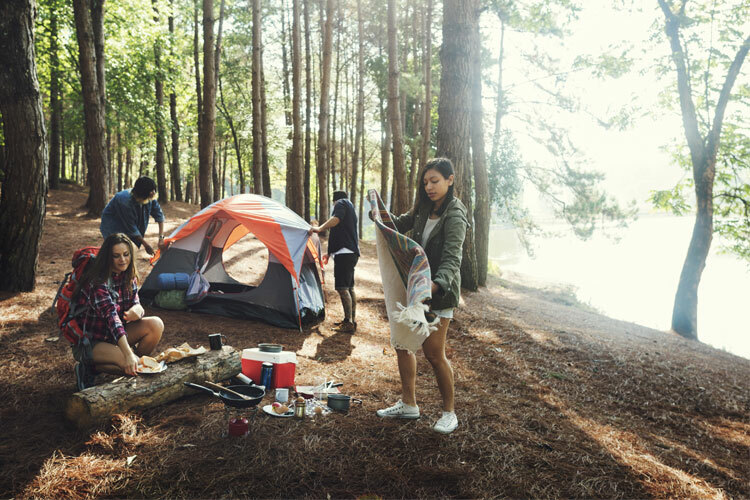 Maintain a clean campsite, free of litter and trash, to prevent curious critters from sniffing around. 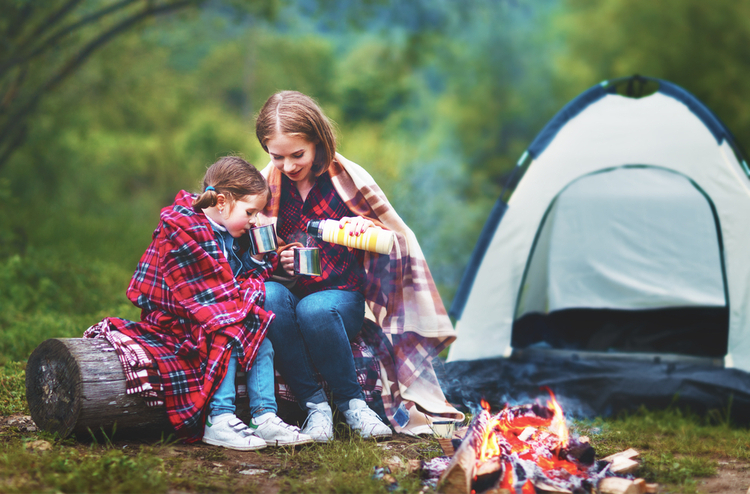 Additionally, keep your food and trash in sealed metal cans inside your car; never bring it inside your tent, unless you want unwelcome visitors in the middle of the night. As long as we’re talking about animals, you should only hike during daytime hours. And although it might be cool to spot an animal you’ve only seen on TV, NEVER approach one in the wild. Kids are naturally curious. Make it a point to emphasize (many, many, MANY times) that they are never to wander off from the campsite. 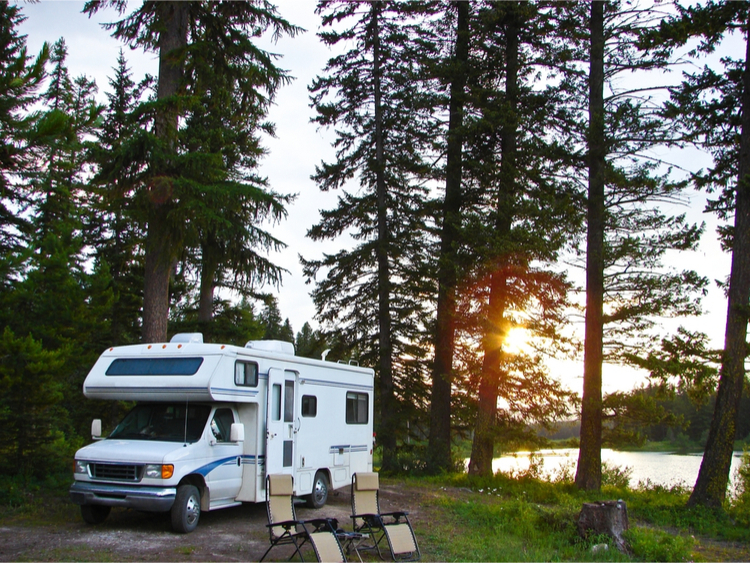 Some camping sites are near enticing water features like swimming holes or lakes. Observe water safety rules, such as flotation devices for little ones. And absolutely no one should ever swim alone. During the day, sunscreen is a must, as is bug spray. At night, a LED headlamp will prevent you from tripping over things in the dark. You can also hang LED lanterns from the trees to brighten up the campsite. These “extras” are recommended by experienced campers: pack more socks, underwear, meals and water than you’ll think you need. Plus, extra layers (like fleeces) for when it gets colder than the predicted forecast. On the flip side, sleep in as little as possible inside your sleeping bag; hard to believe, but you will actually be warmer. So now that you’ve gotten some basics under your belt, pack up the car and get ready to head out into the great outdoors. And most importantly, remember to “leave no trace” – hike out all of your trash. The “great outdoors” will thank you. And you’ll leave the camp site ready for the next family.